I got some questions recently about running with aches and pains and what to do about it/them, if anything. That got me wondering how many of you are running with aches and pains of any kind. I don’t mean the type of pain which shows up for a minute or two during a run and then disappears (most of us have those pains from time to time), but instead the type which doesn’t get better during your run. Running, or any exercise really, may cause you to feel some aches and pains. That’s part of improving your cardiovasuclar fitness and the training process. But, how do you know the difference between normal aches and true pain which can be the sign of something more serious? Normal aches and pains include things like muscle soreness, blisters, chafing, minor twinges here and there in your muscles and joints and, after a particularly long or hard run, some difficulty getting moving or stiffness. These types of aches and pains will generally go away on their own either during a short break (after not running for a day and up to a few days) and Rest, Ice, Compression, Elevation (R.I.C.E.). If these aches and pains persist for more than three to four days, they may be a sign of something requiring medical attention. any sort of tightness or constricting feeling in your chest. this list may not be complete as I’m not a medical authority. I believe the key here is to decide which “normal” running aches and pains you can run through, which ones need R.I.C.E. and which ones need medical attention, perhaps immediately. I can’t provide much help with conditions which have progressed to the point where medical help is required as I’m not a licensed medical practitioner, but I may be able to help you with figuring out how to deal with “normal” running aches and mild or moderate pain which doesn’t cause you to alter your stride/gait. The key with these types of aches and pains is to diagnose what’s causing it and make the appropriate changes before a real injury occurs. BTW – If you’re being treated for normal running pain by a medical practitioner, it’s also very important to figure out exactly what caused your injury and not just how to recover from the current injury. I have seen this happen more than once as some medical practitioners seem more interested in fixing the current problem than preventing it from recurring. For example, I’ve meet a number of people who have had stress fractures and while they recover well the fracture returns later on as they never figured out what caused it in the first place. Most common running injuries are due to overuse, over training, improper shoes, or a bio-mechanical flaw (could be in your body structure or in your running motion. or both). I believe that most running injuries can be prevented if the underlying issue(s) is/are address correctly and in time. So, what’s the best way to prevent normal running aches and pains from becoming injuries? Since most athletes are, or eventually become, driven and goal oriented people, they often subscribe to the “No Pain, No Gain” philosophy, which means they attempt to ignore pain. While there are some aches and pains that may be OK to ignore (people vary in what they call pain and in how they rate pain intensity), moderate to significant pain is likely your body’s way of telling you to pay attention to some issue before it becomes a full blown injury. For example, during a 17 miler, I stopped on a bridge for less than 60 seconds to check out the water level in the creek below. When I started running again I had a pain in my left knee which I hadn’t felt before (never had knee pain of any kind). As soon as I noticed that it wasn’t getting better I walked for about 30 seconds and it felt fine so I started running again. The pain was still there for the first few steps and then it went away completely and hasn’t returned again. What caused it? I don’t know, but I’ve made a mental note of it for the future, and logged it in my running journal. Some newer runners get side stitches and those are another form of pain which it is likely OK to continue the run with or after it’s gone. Another type of ache/pain which may occur is Delayed Onset Muscle Soreness (DOMS). With DOMS the soreness is felt most strongly 24 to 72 hours after the run/race and is usually brought on by increasing mileage and or effort/intensity too quickly. While it is often experienced by new runners in a hurry to progress, even experienced marathoners may experience it. Any measure that increases blood flow to the muscle, such as low-intensity workouts, massage, hot baths, or a sauna may help somewhat. The pain will normally go away on it’s own within 72 hours of starting. Another type of pain is a blister on your foot, toe, heal, etc. or chafing on any part of your body. While it’s painful to run with, it is not a pain which must cause you to stop running, and it can be treated either on the spot or later. Of course, you need to be careful of infection with blisters especially, but that usually only occurs if it isn’t properly treated. However, in some cases it might be wise to stop your run and get a blister or chafing taken care of so that you can continue your training in the following days with as little pain/discomfort as possible as they may cause you to change your running mechanics, which could result in causing an injury to another part of your body. I do not stop running with blisters during most races. During a “for fun” race or training run I may stop if I think that it may negatively impact future training sessions. Since many runners get brief pain once in a while, like the short lived knee pain which I mentioned above, it is not a good plan to stop for the day at the first sign of pain. If that were to happen, I believe that more phantom pains would begin occurring (a mental thing). No, we need to develop mental toughness right along with physical endurance and if we stop at the first sign of pain we’d likely never learn the mental toughness required for endurance running. On the other hand, if we continuously ignore the warning signs, which pain really is, we will likely be continuously injured and in a frequent state of recovery. What I suggest is to take one or more walk breaks after a pain has begun and then try running again after each break (it may take a couple of walk breaks to determine if it will go away). It the pain goes away continue the run. If the pain continues at a low level, doesn’t get worse and doesn’t cause you to change your running mechanics it may be OK to finish your run if you’re almost done. Here’s the key, whenever pain causes you to alter your running mechanics and doesn’t go way soon, end the run. I once had the good fortune to meet a young woman who had begun training in the military and every time her long runs got to about 9 miles she would become injured. She had experienced actual injuries, not phantom injuries and now it had become a fear that she never would be able to run anything more than a 5K and perhaps someday a 10K. In her case the “No Pain, No Gain” philosophy had led to her downfall each time. 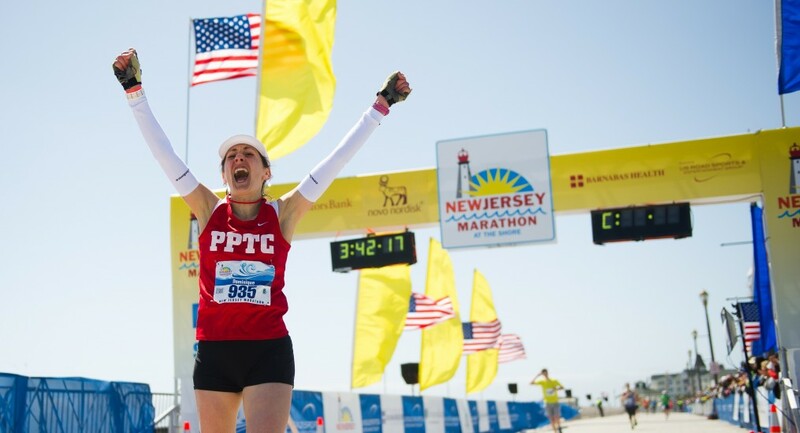 I’m glad to say that by modifying her training plan and paying attention to what her body was telling her, she has successfully completed a number of longer races, and stayed injury free. In her case the pain which she was ignoring was a warning which lead to a physical injury and also to a emotional injury! Another point I’d like to make is that the location where you’re feeling the pain may not be the actual cause of the problem, but only a symptom which has been caused by the real problem. For example, Runner’s knee (also known as patellofemoral pain syndrome) is usually caused by weakness in the middle quadriceps muscles and tight hamstrings or IT bands. You may also be at risk if you over pronate (your feet roll inward excessively – pronation is normal and a good thing, it only become a problem when it is excessive). In this case the problem may be resolved by either changing to the proper type of running shoe for your body or getting good custom-fitted orthotics. “Non Normal Running Pain” should be addressed immediately (see examples above)! Not all “normal” running related aches and pains are serious and some should not stop your training/racing. (write down the specifics of when it occurred, how it felt, and how long it lasted, etc. in case it returns). “Normal” running related aches and pains which are mild, don’t get worse during your run and don’t change your running mechanics (it’s best to ask someone to watch you run, if possible) may not necessarily cause you to stop your run, if you are nearly done. Rest and R.I.C.E are likely in order after your done though. “Normal” running related aches and pains which are moderate in intensity which doesn’t go away during your run should be followed by rest and R.I.C.E for a few days. If the pain doesn’t go away then it should be looked at by a certified medical practitioner as soon as possible. “Normal” running related aches and pains which are severe and don’t go away quickly should be looked at by a certified medical practitioner right away. While this is not a complete discussion of all possible aches and pains associated with running, I hope that it will provide some general information about a subject which we all experience at one time or another. Please let me know if something isn’t clear or if you find something incorrect in my information. I look forward to hearing from you. This entry was posted in Staying Healthy, Training and tagged dealing with pain, running aches, running pains. Bookmark the permalink. Their widget was a vehicle for a great change and lifestyle adjustment. The problem is that you make this calculation before you know anything. Communicate with your own unique voice, and that with which you are most comfortable. Glad that you found it helpful Chelsea! Thanks for letting us know. to don?t put out of your mind this web site and give it a glance on a relentless basis. It has over 1million downloads and it is all from idiots who believe the computer bots on the game are genuine players. to be your online face of interaction and communication with your customers. internet related products and services as their core competency. are much easier to set up and offer just enough features for you to enjoy within your website.